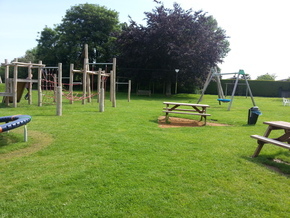 Through a great effort of some of our villagers, we are proud to have a remarkable Recreation Ground, complete with a fabulous Playground, enjoyed by children and young people. We also have a large open space for ball games. In the corner is situated our Village Shop - making it an ideal location for children to play and parents to enjoy a cup of tea, coffee or soft drink. After the play, ice cream from the Shop can also be on the agenda. Please contact Ann Powell (01491 872 965 or e-mail annpowell250@gmail.com) if you or your group would like to hire the Recreation Ground.